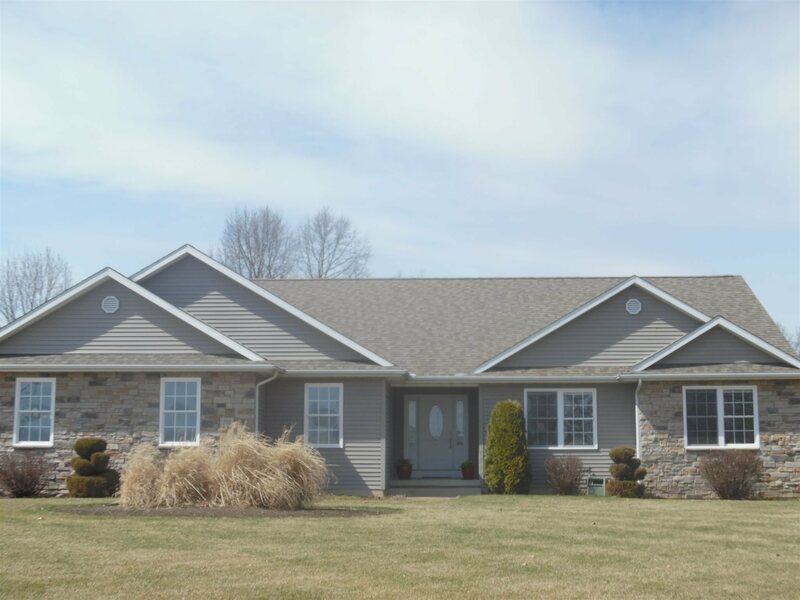 Custom built by original owner this home features 5 bedrooms-all with egress, and 3 full baths. Corner lot with great water views across back of home. Kitchen with staggered cabinets, all appliances. Cathedral ceilings in Kitchen, Great room and master bedroom. Rounded corners throughout. Basement finish includes 9&apos; ceilings, lots of windows and best of all no jack posts-floor trusses-great open family room area. Over sized two car garage. Shadow Lakes has community area with beach, playground, walking trails. Great central location.